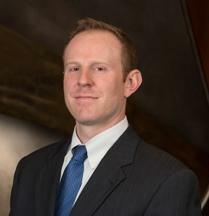 Nick Berger joined Frost and Associates as an attorney in August, 2015. Prior to joining the firm, Nick worked as an attorney for the Comptroller of Maryland in the Hearings and Appeals Section. While working for the Comptroller, Nick conducted hearings and issued binding decisions regarding complex tax disputes. Nick also has experience negotiating and resolving a large array of tax issues, including areas such as Sales and Use tax, Withholding tax, Admissions and Amusement tax, Individual Income tax, and Corporate Income tax. Nick graduated from the University of Baltimore School of Law, earning his Juris Doctor in the Spring of 2010. Nick attended college at the University of Maryland, College Park, and graduated with a degree in Government and Politics in the Spring of 2007.